500cc 3-wheel scooter that can be ridden on a car licence without taking an additional test. 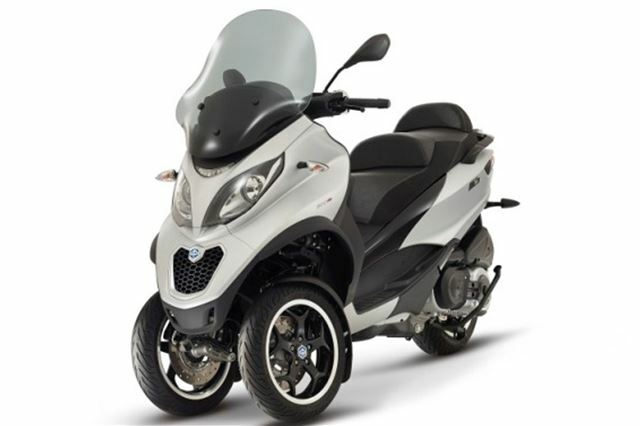 Piaggio's MP3 range of three wheeler scooters can be riden on a car licence by anyone who assed their test before 13th January 2014. That is why we have included it in car by car. The MP3 range includes MP3 Yourban LT 300 (from £6,034) and MP3 Yourban LT Sport 300 (from £6,134).